Philips has been one of the foremost names in home audio for decades, and they have been making high-end headphones for just as long. 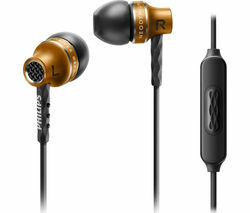 The tradition of excellence embodied by Philips headphones is exemplified nowhere better than their Fidelio line. Philips admits they are obsessed with high-fidelity sound and delivering the perfect music experience to their loyal audiophiles. The entire Fidelio range (as well as many other high quality Philips headphones) are rated for Hi-Res Audio, the highest standard in home audio performance and the match for many professional audio systems. Many also feature genuine Bluetooth® wireless technology. Philips headphones are all extensively tested and designed specifically to produce the most accurate sound profile possible, delivering you a musical experience that is as close to life as the recording media allows – and with Hi-Res Audio, that is very close indeed. 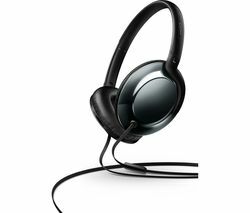 If you don’t find exactly what you need in our Philips headphone line, we invite you to explore our entire range of headphones, including other excellent names such as Sony and Beats headphones. Currys carries everything a dedicated audiophile could want, so we’re certain you’ll find what you need.